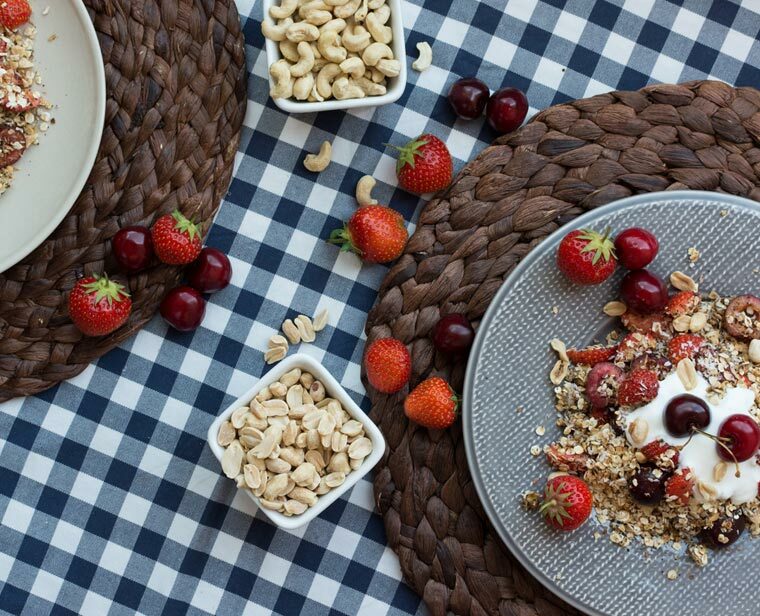 Let’s talk about the best travel foods. I went into our epic road trip with a few select meals in mind. I knew that I wanted to celebrate my birthday with cannelloni at the Old Ebbitt Grill in Washington, DC, and again in the Philadelphia area with the amazing chicken parmesan at Ralph’s of South Philly. 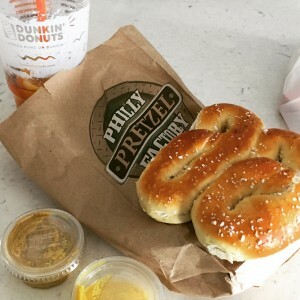 I knew that there would be pretzels in Philly and bagels in New York. But there were plenty of surprises. 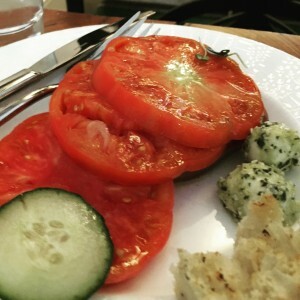 There was a to-die-for heirloom tomato salad at the Centurion Lounge in SFO, before we even boarded the flight. Let us not underestimate the joy that perfectly ripe tomatoes bring. It was blueberry season in New Jersey. We stopped at both the Red Top and neighboring Green Top markets (the latter mysteriously has no internet presence) on our travels, and both had some of the best blueberries that I’ve eaten in years. 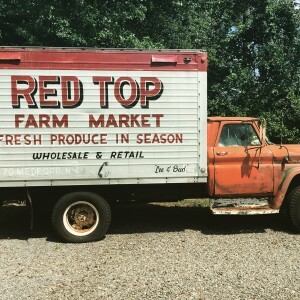 And Red Top also has this very cool old truck that I always liked. 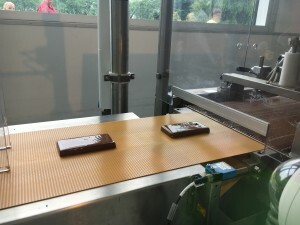 We made our own custom chocolate bars at the Hershey factory, which was surprisingly entertaining. Granted, it tasted like Hershey’s chocolate, but it was still a cool experience. And Dunkin Donuts for my birthday. Of course. Because there’s extra joy in being able to eat favorite foods that were forbidden as a kid. 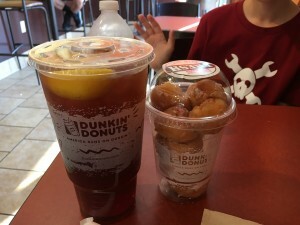 Along with a giant iced tea because they’re one of the few places that still serves it freshly brewed and unsweetened. Love you, Dunkin Donuts. 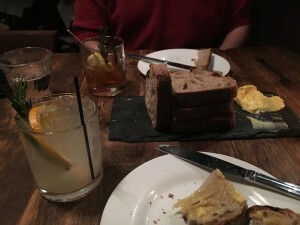 Can we discuss the deliciousness that is Razza in Jersey City? Homemade bread. Homemade butter. Delicious pizzas. And excellent drinks, too. I go here every time I’m in town. 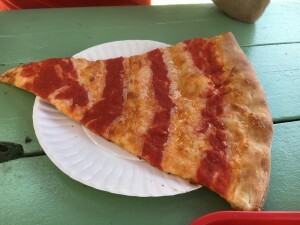 Maruca’s pizza, on the boardwalk. Seaside, at the Jersey shore. And we can’t forget Grimaldi’s pizza in Brooklyn. The wait is long. The pizza is good. The Assistant ate three slices. But lest you think we ate nothing but pizza… there was also pasta! 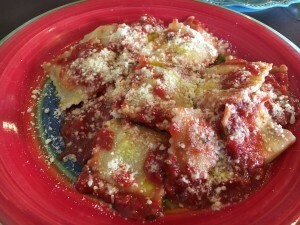 At Paciarino in Portland, Maine, The Assistant had an amazing classic lasagna (creamy bechamel, no ricotta) and I had these to-die-for ravioli stuffed with potato and blue cheese, topped with a simple butter and tomato sauce. Wow. It’s worth a trip to Maine for this. One of the best pastas I’ve ever eaten anywhere in the world. And hey, Boston! 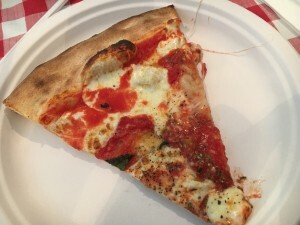 I know you’re not usually known for your pizza, but this slice from Il Mondo on Mass Ave? Fabulous. 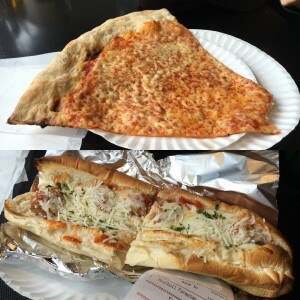 The giant slice and large meatball sandwich were enough for four people, and cost us $11. Five stars, would stuff myself there once again. And we haven’t even talked about ice cream. 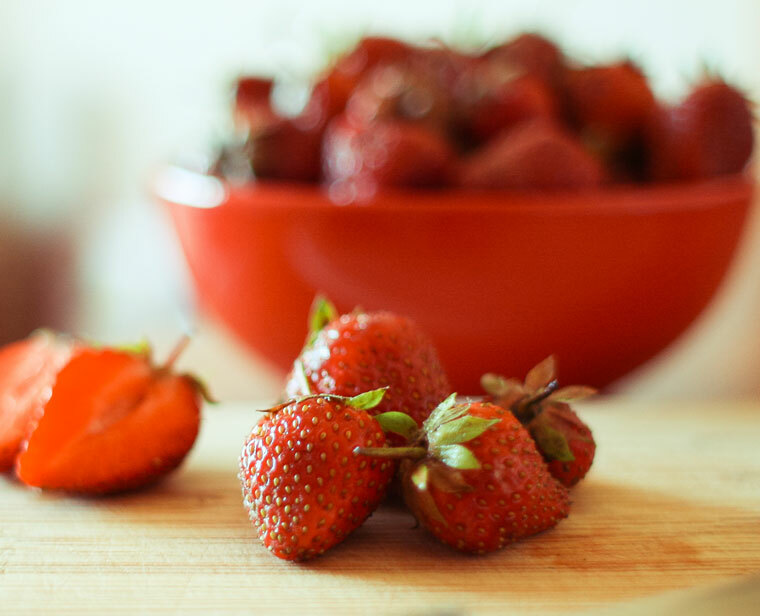 We ate it in many locations, but narrowed our winners to three very distinctive varieties. This was not an easy decision. 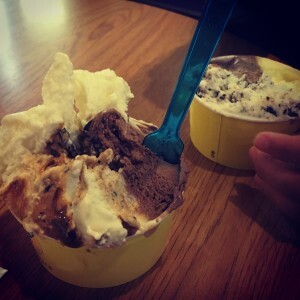 Winner of best gelato: Gorgeous Gelato, Portland, Maine. I had chocolate-hazelnut, coconut and salted caramel. He had a chocolate, straccitaella and pineapple sorbet. All amazing. Winner of best hard ice cream: Torico of Jersey City, New Jersey. Established in 1968, this place has a great selection of unusual flavors. 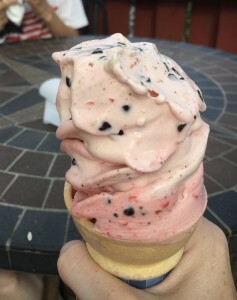 I passed on the more unique flavors, like black sesame or Earl Grey tea, and went instead for an amazing pistachio with cherry swirl. Winner of “I’ve never seen ice cream like this before:” Penguin Ice Cream of Cooperstown, New York. 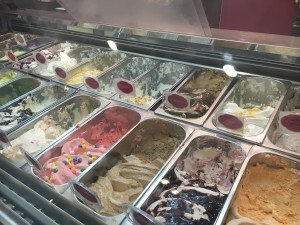 Imagine Cold Stone, where you pick your base flavors and mix-ins. Now put it in a blender like a DQ Blizzard. Now extrude it onto a cone like soft serve. I’m not one of those ice-cream-every-day kind of people, but this? I could get used to this. Mine was vanilla base with cherry, chocolate chips and almonds. Fabulous! What travel foods have you found that are worthy of recognition?